In Mission 124 we explore Rhode Island Sasquatch with Dina Palazini, Kris Stepney, and Katy Best — the ladies from Bigfoot Seekers. “Big Rhodey,” has been experienced by multiple witnesses over the course of the last few decades, but is he still out there? We see some of the evidence and hear the tales of possible encounters. 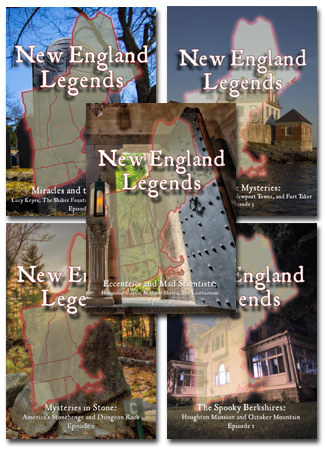 Team Leader, Dina also talks about her new book, Legend Meets Truth: Bigfoot in Rhode Island. Dr. Dreck stops by to teach us how to hoax a Bigfoot video and don’t miss Russian lake monsters in the news!